R.Journet Dexterity & Other puzzles. 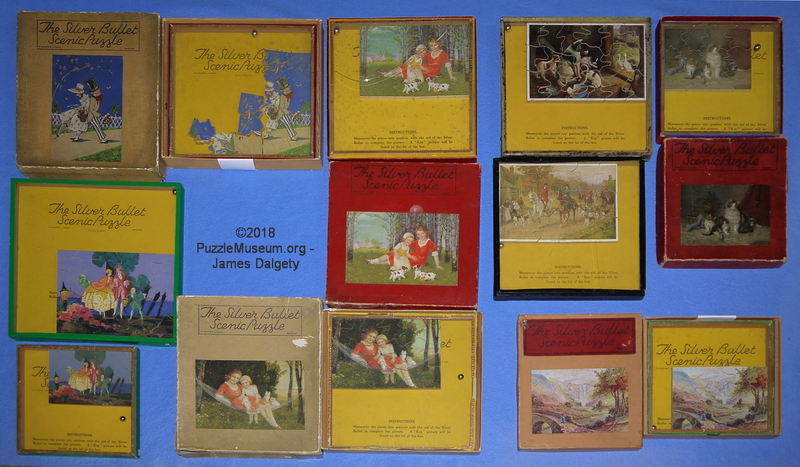 The past 25 years have seen the collection grow to over 400 Journet puzzles. Many more RJ puzzles have been found in recent years and much information discovered since the original 1989 monograph. All this will be included in the new book which it is hoped will be published in 2018. The new book will include photographs of all the known Journet puzzles and many variants. Details of the elusive German versions, pictures of the rarest puzzles like Balky Basketball, The Fish, and much much more. Please watch this page for news. May 2018. 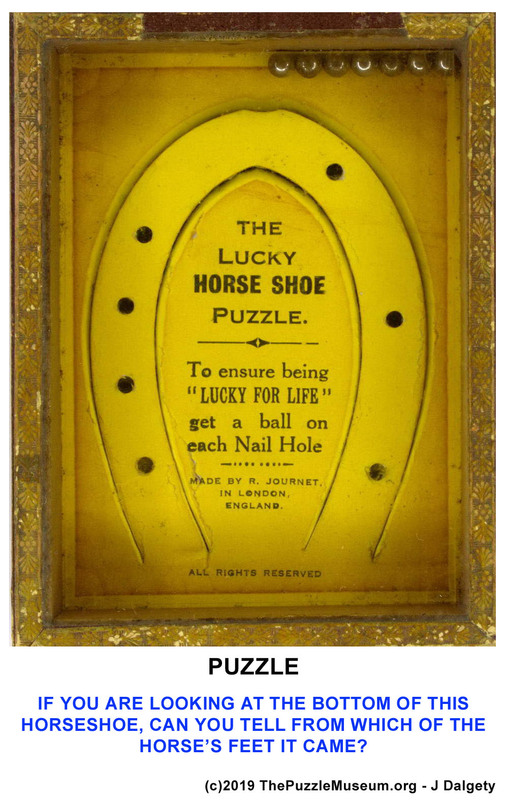 We are currently busy working our way through hundreds of puzzles plus orginal ledger, artwork, correspondence, and newly discovered advertising puzzles. German versions and Japanese copies. Advertising material and original catalogues. August 2018. Sorting out rare RJ Export packs. September 2018. Gathering together some RJ Silver Bullet Scenic Puzzles. October 2018 photographing ARJAY compendiums of mixed types..
November 2018. A rare find amongst the archives. The original R.Journet & Co Ltd. brass registered office sign from the front of their London building. December 2018. An advertisement from a 1969 Schwarz catalogue. 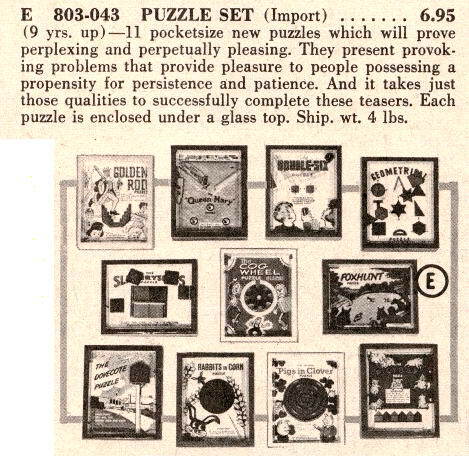 Possibly the last time the RJ puzzles were advertised in the USA. February 2019 Finished photographing the "L"s.
"R.Journet & Company. A brief history of the Company & its Puzzles" by James Dalgety. £9.00 buys the full size PDF.